Raised Beds and Garden Planters are a real favourite of Grow Your Own vegetable gardeners as they allow you to grow vegetables in otherwise unsuitable soil or locations, garden planters offer improved drainage and soil structure on shallow chalky or stony soils and the extra height of soil increases rooting depth. 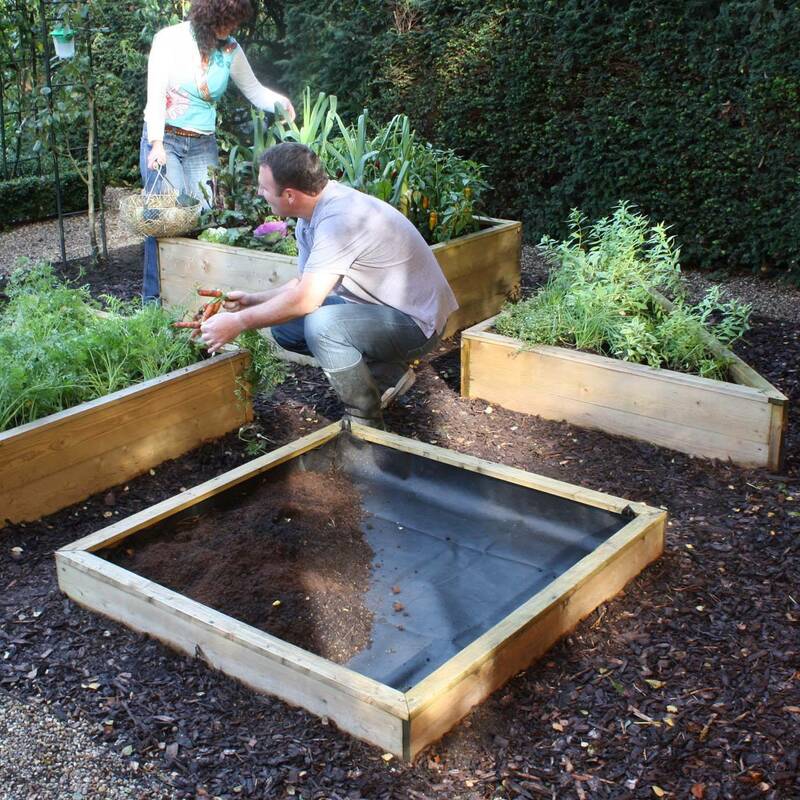 These entry level raised beds are ideal for those new to gardening and growing your own who are looking for a cost effective easy way to get started. Our mid range raised beds blend quality design with value for money and were voted 'Which Best Buy' in December 2010. Available in a range of sizes from 2ft (0.6m) to 8ft (2.4m) and in 5 heights the Standard Raised Beds really are a quality addition to any Grow Your Own set up. The 3.5cm planks are planed all round and the beds come with a 6year structural guarantee - to see the full range go to Standard Raised Beds. 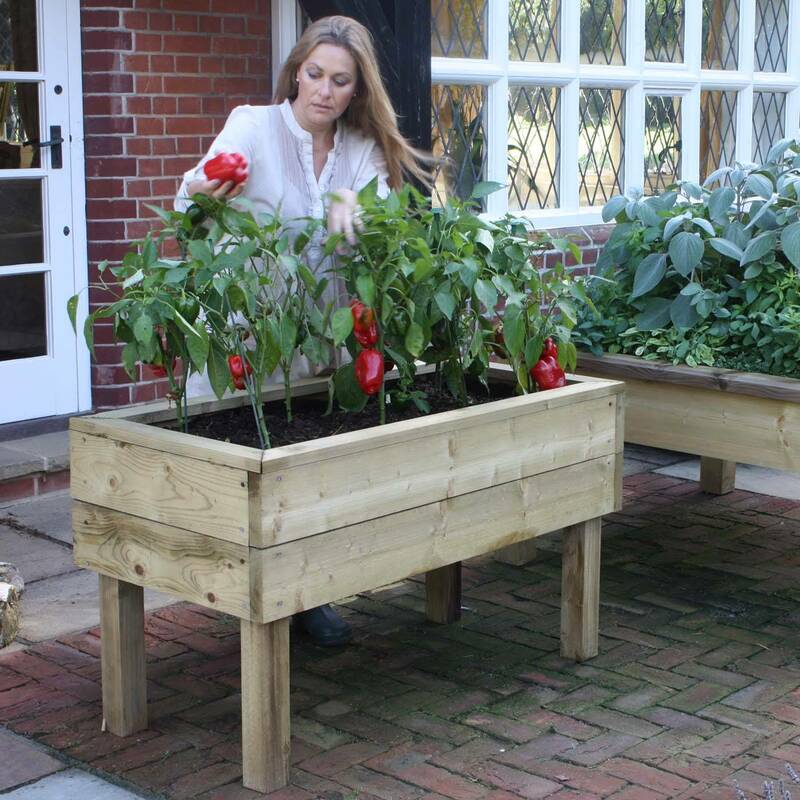 The Superior Wooden Raised Bed Kits are very much the flagship of our extensive wooden raised bed gardening range, and provide a very sturdy, long-lasting and extremely attractive garden planters for the discerning vegetable gardener. 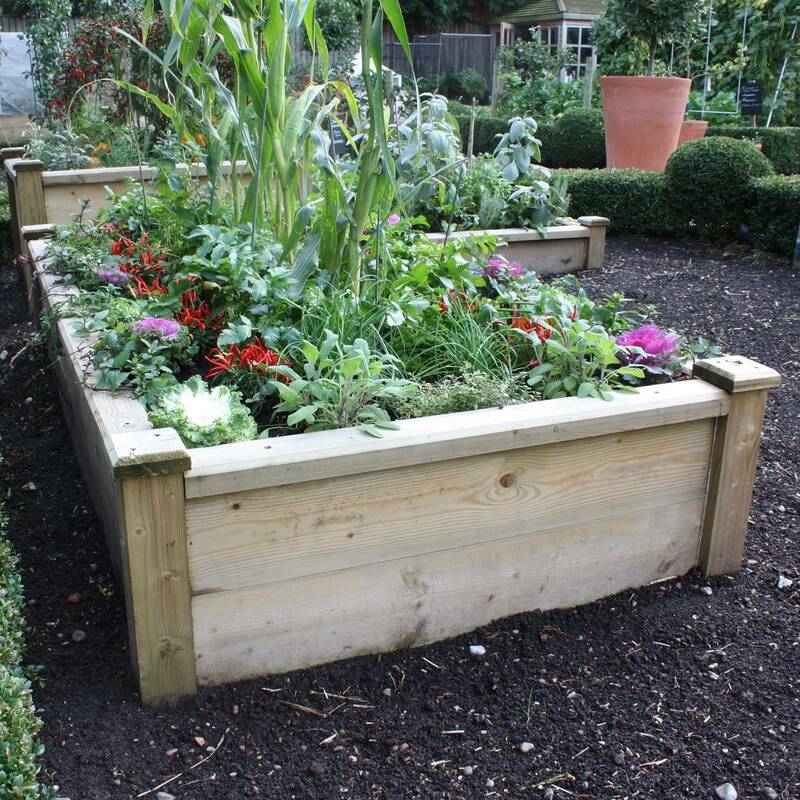 Available in a range of sizes from 2ft (0.6m) to 8ft (2.4m) and 4 heights there should be a Superior Wooden Raised Bed which perfectly meets your needs - to see the full range go to Superior Raised Beds. 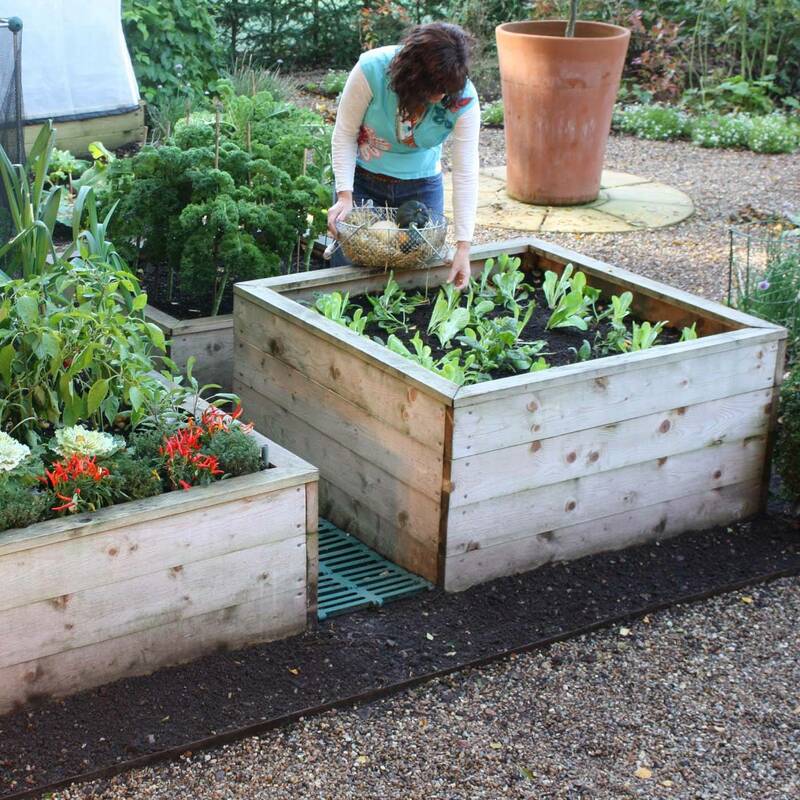 In smaller or more awkward shaped areas our corner raised beds can be the perfect solution. Available in all raised bed styles and in 3 heights - to view the full range of sizes and prices go to Corner Raised Beds. Based on our Standard and Superior ranges the raised bed table planters are great on the patio and allow you to sow, grow and harvest at a comfortable height. The Standard and Superior raised bed tables are both available in 2 sizes (2ft x 4ft & 4ft x 4ft) and also in 2 depths and come complete with a fabric liner which helps retain moisture and smaller soil particles. See the complete Standard Raised Bed Table Range and Superior Raised Table Range for more details and prices. Wooden garden planters can provide an excellent grow your own solution, and are great when space is at a premium. We have developed an exclusive range of wooden planters that are not only perfect for growing your own, but are a great looking addition to any garden pr pation.